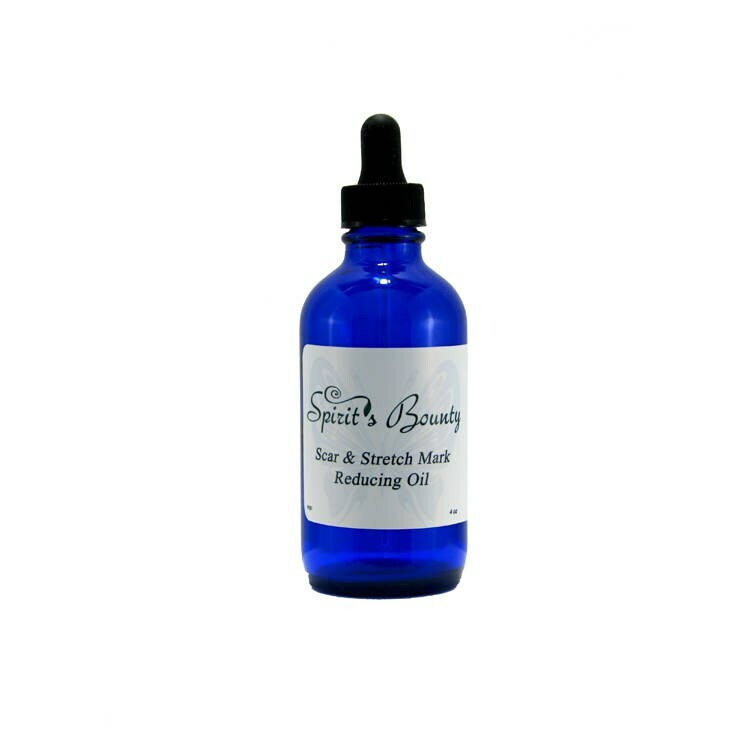 Spirit’s Bounty Farm Stretch Mark and Scar Reduction Oil is made from plant oils that nourish the skin cells, and leave the skin feeling silky smooth. Regular use can promote healing and fading of scars and stretch marks. The Rose Hip seed oil, Helichrysum essential oil, and homeopathic ingredients combine to encourage skin repair and healing leaving the skin feeling smooth and silky. Ingredients: Cammillia Oil, Rose Hip Oil, Helichrysum, Sambucus Nigra Fruit Extract, Calcarea Fluorica 200C & SB Formula Mix. Keep this product out of eyes. If you are pregnant, or may be pregnant, consult your physician before using. This product is not intended to diagnose or treat any disease. Available in 4 ounce bottles.